The Cupro Nickel Threaded Forged Fittings of Jaydeep Steels are made in a customized way to meet the demands of the clients punctually and hence have been positioned as the leading producers and exporters of Cupro Nickel Threaded Forged Fittings all over India and worldwide. Copper Nickel Forged Fittings are mainly composed of high grades of Copper and nickel alloy which is available in increased strength in grades of Cu-Ni 70/30, Cu-Ni 90/10 etc. It is corrosion resistant and drought resistant varieties and hence is of high demand in the market because of its contents and features. 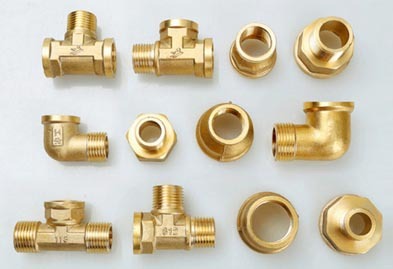 Cupro Nickel Threaded Forged Cross is used mostly in the areas where four pipes are to be connected to give it such as at revamping work. Threaded Forged Couplings are provided with sockets to attach two or more pipe fittings together. Cupro Nickel Threaded Forged Pipe Unions are generally used at the union of two or more pipes and having threaded ends for the attachment. 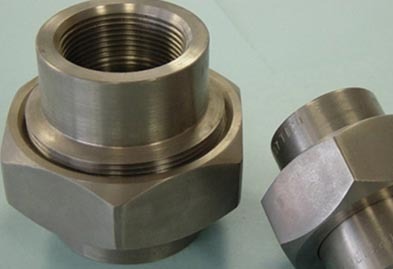 Cupro Nickel Threaded Forged Bushing connect the pipes that are provided with external internal threaded ends of different diameters and used in high-pressure environments. Cupro Nickel Threaded Forged Hex Plug have extensive leakage proof quality and hence have a huge demand in the market. Our daily innovation in manufacturing processes help us deliver great services so send in your requirements and be rest assured to get the best services. Request a free quote today! Jaydeep Steels stocks a wide range of materials and grades. Below is a list of all standard cupro-nickel alloy threaded forged fittings materials and grades we stock. Our experienced team of metal experts will get you the metal you need when you need it. Call us today for your Cupro-Nickel Alloy Threaded Forged Fittings Needs!